Raise your hand if your over the purse strap. Me! I’m sick of lagging around a bulky purse. The darn thing is always falling over and dumping my life out with it. How about something flat? Something thin that I can tuck under my arm? 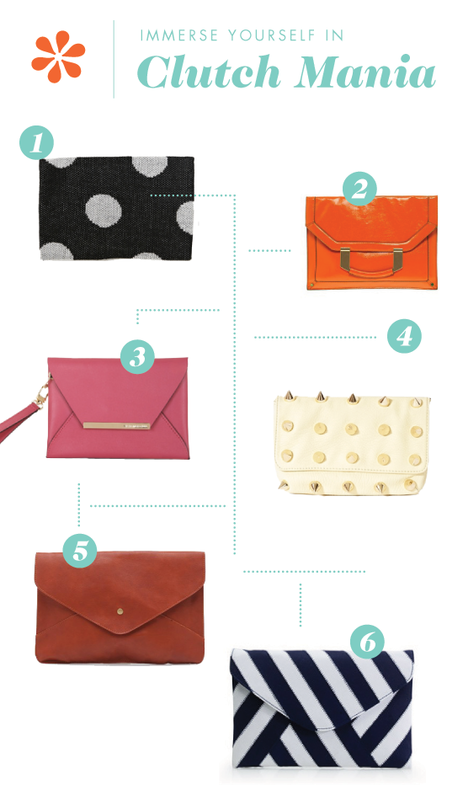 That’s right you guessed it—The envelope clutch. This will be my first envelope clutch purchase so, where better to get educated than Polyvore. These little guys look so effortless I can’t help but snag one up! Look 1 here. Look 2 here. I’ve been meaning to buy one of these for ages. As you can see I am rather good at hemming and hawing. I’m ditching my fishing tackle box purse and moving on. How about you? Ready for something chic and easy? Preview Previous post: How does it all start?